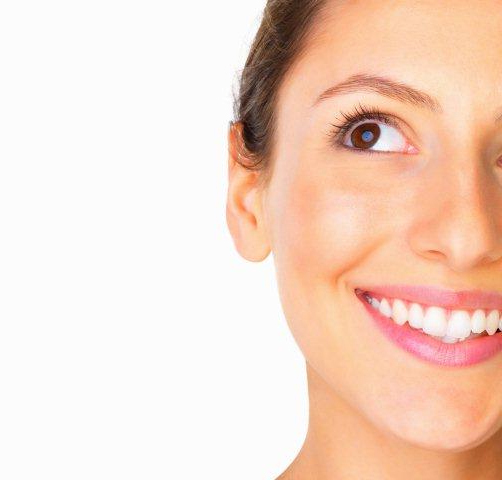 Staining and discolourations of the teeth can make your smile unattractive and unhealthy-looking. Smoking or the use of tobacco products – cigarettes and tobacco products cause unsightly stains on the surface of teeth. Poor oral hygiene practices – stains and discolourations on teeth can be caused by improper or infrequent tooth brushing. When the teeth are not cleaned properly, stains from food and beverages are left on the surface – and can eventually be a permanent feature on the teeth. Ageing – teeth discolouration is a common sign of ageing; this is also the reason why yellow, stained, or dark-hued teeth can make you look much older than your actual age. Medications – taking certain medications can also affect the appearance of your teeth. Stain removal is a cosmetic dentistry treatment that effectively removes the stains and discolourations on the surface of your teeth. 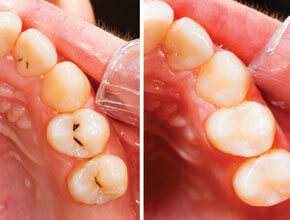 The removal of surface stains make your teeth clean and white and can give you back the confidence to smile. The confidence in knowing that your teeth are stain-free can improve not only your appearance, but also your outlook in life –so you can grab opportunities that present themselves in both your personal and professional life. The most effective stain removal treatments are those that are done in the dentist’s clinic . Over the counter products such as whitening toothpaste, whitening mouthwash or teeth whitening strips may only remove the smallest amount of teeth stains – and you will often need to use these products for a long period of time before seeing results. Professional stain removal can be done using a teeth whitening treatment, which can dramatically whiten the teeth by a few shades in just a short period of time. Stain removal done in the dentist’s office will ensure that the process is as safe as possible; the procedure can even be adjusted to take into consideration any sensitivity issues that you may have.